Sony was one of the original Google TV launch partners, and based on what we saw at CES, Sony is planning on sticking around to see how Google TV 2.o pans out, just not with an actual TV. 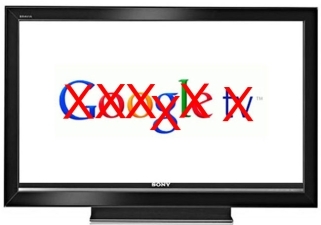 Sony had 3 TV models powered by Google TV, but it would seem that they have been discontinued. Sony has not officially made the announcement, however that hasn’t stopped channel watchers from noticing the disappearance of the models or stopped word from spreading through the rest of the company. Sony is still offering their original settop box and there will be new settop boxes and Blu-ray players running Google TV coming out in the near future, but apparently Sony is planning on sticking to its own platform for their smart TVs. Is Sony making a mistake in relegating Google TV to add-on devices and keeping TVs for the Sony Entertainment Network, or will Sony sell more by spreading platforms across devices? While not officially announced from Sony corporate, I have been able to confirm via a Sony Store and multiple calls to Sony’s sales number that Sony (SNE) has stopped producing their Sony Internet TV with the built-in Google TV platform. Over the past few weeks I’ve been noticing that Sony’s Google TV model has disappeared from nearly all supply channels and Sony’s own website now lists the 24″, 32″ and 46″ models as “no longer available”.